Lake Powell and Glen Canyon Recreation Area are a sportsman's paradise in Colorado. Bordered by Canyonlands, Capitol Reef, a Navajo reservation, the Grand Canyon, Grand Staircase, and Vermillion Cliffs, Glen Canyon Recreation Area serves as the perfect central location for your southwestern national parks tour. Enjoy a guided or self-guided fishing trip on Lake Powell in pursuit of trophy striped bass. Watch as they herd baitfish into boils and pitch topwater lures for one of the most explosive hookups fishing has to offer. Pursue other gamefish such as smallmouth bass, catfish, largemouth bass, crappie, or walleye. Fishing not for you? Find seclusion on one of the many arms of Lake Powell, and enjoy the glassy water for world-class water skiing and wakeboarding. 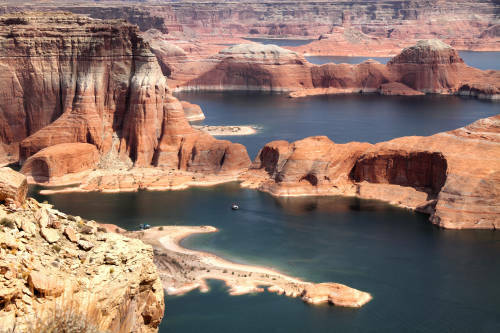 Drive your rental powerboat into the otherwise inaccessible Rainbow Arch National Monument or take in 18 championship holes at Lake Powell National Golf Course. Call ahead to one of the many marinas on the lake to reserve any watercraft. Rentals are in high demand and go quickly. 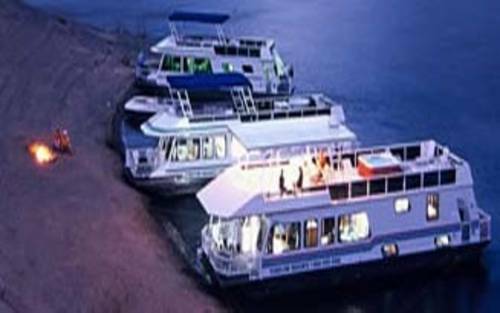 Lake Powell Resort is located at Wahweap Marina, a perfect location for your Lake Powell activities and adventures. Lake Powell Resort provides comfortable lodging, terrific dining and great shopping at nearby Page, AZ. Call today for reservations. Defiance House Lodge is located on a hill overlooking Lake Powell; the perfect location for beautiful views of the serene lake as well as being conveniently close to all Lake Powell has to offer.